BRISTOL – There’s a growing concern in the healthcare industry over the safety of staff members from violent, sometimes drug-fueled patients – something Bristol Hospital is all too familiar with. While it's unclear if the problem is getting worse, locally or nationally, healthcare experts agree there's certainly more attention on the matter now opposed to several years ago and that it's being reported more often. Previously, incidents of violence in hospitals and other medical facilities, particularly those in the emergency room, were looked at as part of the job, said Chris Ann Meaney, vice president of patient care services and chief nursing officer at Bristol Hospital. "I do think it was underreported," Meaney said. "I still think it's underreported." Just last week, two security guards and a nurse at Bristol Hospital were assaulted by a patient under the suspected influence of LSD – a psychedelic drug that causes hallucinations. All three staff members were punched in the face during the violent outburst. The patient was later arrested. Unfortunately, this was just one of the many hazardous situations emergency room workers face, according to Meaney. Only in the last several years has the healthcare industry put an emphasis on staff members reporting incidents like this to law enforcement agencies, even if charges aren't always pressed, she continued. For this reason, it's difficult to say whether or not hospitals have become more hazardous for their workers. Nevertheless, Bristol Hospital has adopted a "no tolerance" stance on violence directed at its employees, said Chris Boyle, a hospital spokesman. "It's a difficult balancing act, because you don't want to make it intimidating for patients," Boyle said. Boyle said staff members hold "safety huddles" every morning, during which time any issues that occurred over the last 24 hours are discussed. Dr. Mary Cooper, chief quality officer at the Connecticut Hospital Association, said CHA is working with hospitals all over the state to keep their workers safe from violent patients. "What Bristol Hospital is experiencing is being experienced across the country," Cooper said. Cooper said it will become clearer in the next several years what trends, if any, hospitals are seeing regarding incidents of violence, as groups like the Occupational Safety and Health Administration have began more carefully tracking that data. According to statistics from the U.S. Bureau of Labor, between 2002 and 2013, incidents of serious workplace violence (defined as a worker having to miss scheduled work days) were four times more common, on average, than those in the private industry. Because of this work environment, Meaney said it has a tendency to take a toll on nurses in the ER. Bristol Hospital is collaborating with CHA to protect its staff as much as possible. Some ideas include enhancing the security at the hospital, which could entail increasing guards on campus and requiring visitors to check in at the lobby. 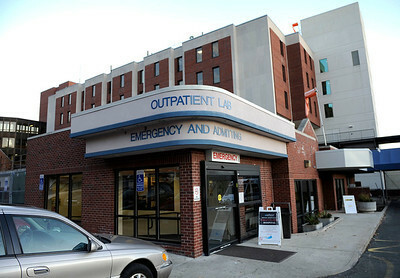 Additionally, planned renovations to Bristol Hospital’s ER include a locked behavioral health unit – which would protect nurses and other staff. Meaney said hospital officials aren’t only worried about the staff but are also concerned about keeping the ER as safe as possible for the community members who use it. “We’re on it, and we’re going to do it,” she said. Posted in The Bristol Press, Bristol, Plainville, Plymouth, Southington Herald on Saturday, 3 June 2017 22:22. Updated: Saturday, 3 June 2017 22:25.